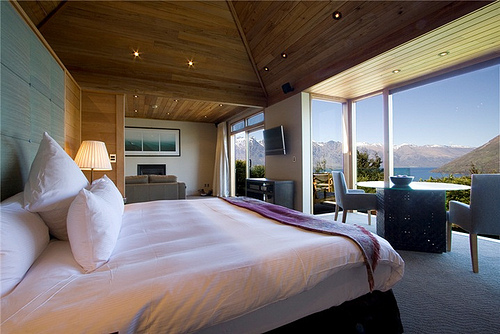 How to choose New Zealand accommodation needn’t be a headache. First you need to understand the categories on offer. When travelling another country it’s often a challenge to categorize the style, standard and cost of accommodation. New Zealand accommodation has a number of rating systems, such as Qualmark and Tripadvisor but these are not always accurate. This depends on what kind of experience you prefer. Do you want to stay with local hosts for a personalised stay or be self-sufficient in a cottage, motel or apartment. Some travellers prefer a fully serviced hotel environment. You may prefer accommodation offering the ultimate discretion and privacy of exclusive occupancy with security personnel and private chefs (these properties are in a separate category of their own). Many of us will most likely use Google or Tripadvisor. Reviews and ratings should be viewed as guidelines only. They should not be the key decision maker. We all go for “trusted brands” but those are not necessarily the best options. The great advantage in New Zealand is the choice available. Plus hospitality in smaller, more private properties such as vineyard cottages and bed and breakfast properties. “You always get what you pay for” – this is an old saying and still very true. The tricky part these days is that “5 star” ratings are used for many different varieties of accommodation. With the New Zealand Qualmark rating system, we have “5 star” camping grounds, motel, hotels, hosted B&B’s and luxury lodges (and more categories). But who would compare a 5-star motel with a 5-star luxury lodge or retreat! Tripadvisor comments from fellow travellers can be a helpful tool, but do be skeptical of a system that allows anonymity from its’ reviewers. Full transparency should be mandatory for all parties. First, trust your source – either publications (usually reliable), friends (but not always) and professional travel experts who regularly visit New Zealand or live there. 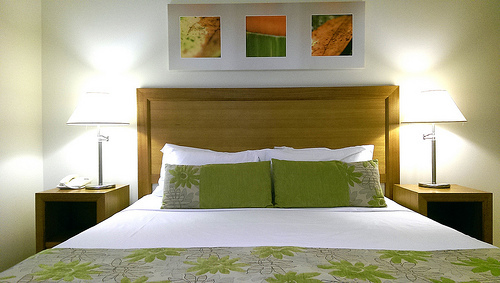 Get to grips with understanding the categories on offer for New Zealand accommodation. Don’t select the least costly room type on offer. This so often causes disappointment on arrival. Don’t expect a true 5-star experience (sample Milbrook Resort) for a couple of hundred dollars – you won’t get it! The one and only 100% guarantee you have of getting exactly what you want is to visit a property before booking and this is highly impractical for most travellers. So do the research first by reading publications and talking to people ‘in the know’. That way, you’ll have a better chance of getting the best New Zealand accommodation to suit you. Happy Travelling and choose New Zealand accommodation wisely! So agree – a little time researching – and trusting your source – is invaluable advice when hunting out the best accommodation options, something learned the hard way over the years… we were once shown to our bedroom in what had obviously (and recently) been a garage – complete with roller door at the foot of the bed. One night only there, thank goodness. Haha…guess we’ve been caught out at least once. On the website the apartment looked spacious and modern. In reality it was a dark little cave with dated bathroom facilities, a kitchen with no oven, microwave! Not every picture tells the correct story. (The “roller door” is a new one though).